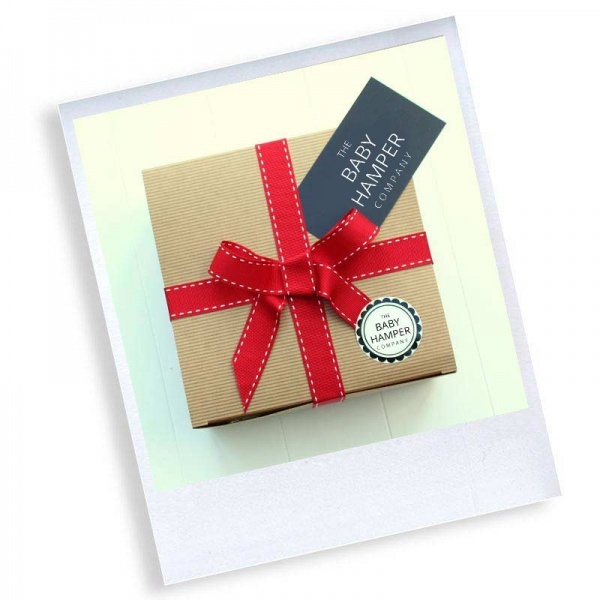 This gift box contains a selection of classic gender-neutral products for boys or girls, primarily in white, you can't go wrong with this one! 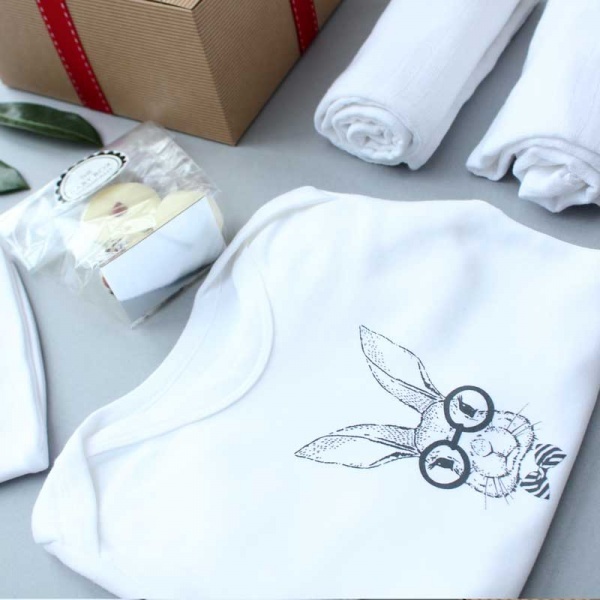 Rabbit print sleepsuit - made from 100% cotton (to help regulate baby's temperature) this funky printed all in one can be worn as an outfit during the day or as nightwear. 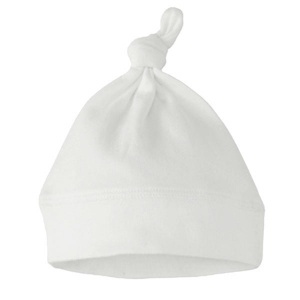 Age 0-3 months. White Knotted hat - included to match the sleep suit, and a great newborn essential. 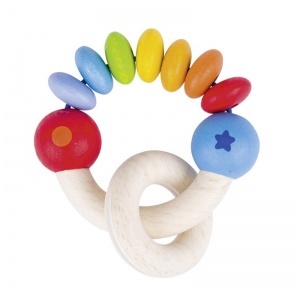 Age 0-6 months. 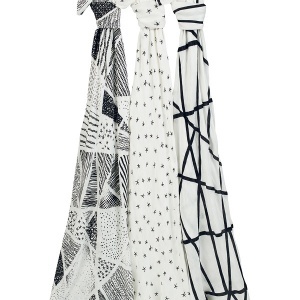 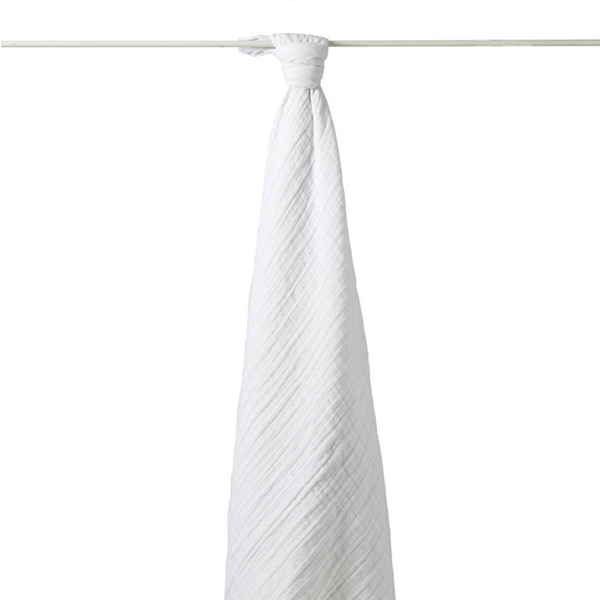 White Muslin x2 - a cotton muslin cloth which really is an everyday essential. Used primarily as a burp cloth, invaluable for newborns. 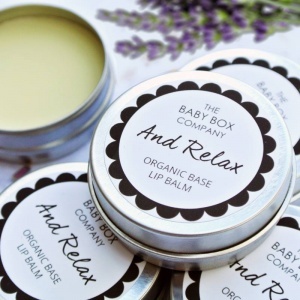 The Baby Hamper Company Lip Balm - an indulgent lip balm tin in a handy bag size, and scented with soothing Lavender - this one will be a real hit! 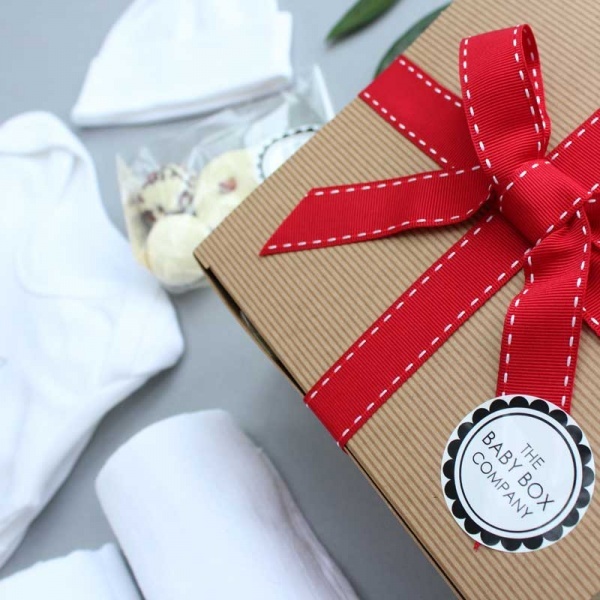 A luxury all white gift hamper, that hamper comes with our unique designer luxury wrapping and delivered directly to the new parents. 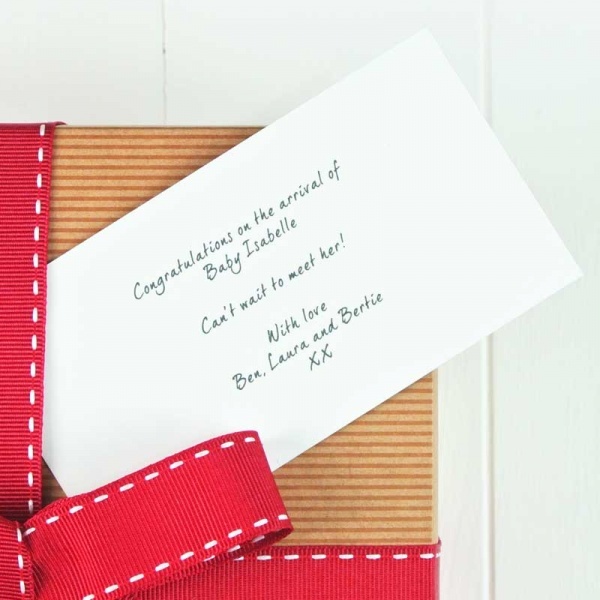 FREE gift wrapping and a personalised gift card with all orders!